The work done by Parliaments the world over, in particular the place and role of Parliamentary diplomacy, has had scant coverage. Matters of international relations and diplomacy have previously been perceived as strictly the domain of the executives. The South African Parliament has been active in international bodies for the past 20 years. In these activities it is guided by the values that are entrenched in the provisions of the 1996 Constitution of the Republic of South Africa. Parliamentarians’ international activities must always be informed by the same values that underpin the South African dispensation and strategic vision. The Parliamentary dimension to international relations could be defined as a continuation of engagement on national issues, political processes and dialogue among legislatures at international level. At different international gatherings, Members of Parliament and Presiding Officers have the opportunity to exchange views and adopt resolutions on a range of matters and challenges with the view to make the world a better place for all. In pursuit of its role in international relations, cooperation and participation, the Parliament of the Republic of South Africa is a member of a number of inter-parliamentary organisations. They include the Southern African Development Community Parliamentary Forum (SADC-PF), Pan African Parliament (PAP), African, Caribbean, Pacific-European Union Joint Parliamentary Assembly (ACP-EU JPA), Inter-Parliamentary Union (IPU); Commonwealth Parliamentary Association (CPA) and India, Brazil, South Africa Parliamentary Forum (IBSA-PF). Currently we are involved in the formation of the Brazil, Russia, India, China and South Africa – Parliamentary Forum (BRICS – PF). As said above, Parliament’s affiliation and participation in these organisations is driven by the need to uphold universal values and principles of democracy, respect for human rights and international law as well as the need to reinforce South Africa’s foreign policy objectives, at the level of international parliamentary fora. 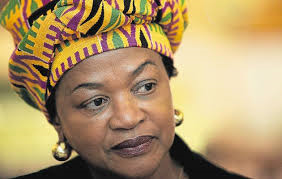 It is within this context that the South African Parliament will be attending the 132nd Inter-Parliamentary Union Assembly (IPU) in Hanoi (Viet Nam) from 28 March – 1 April 2015. The theme of the Assembly is The Sustainable Development Goals (SDGs): Turning Words into Action. The South African Parliament has consistently attended the IPU’s Assemblies and coinciding committee meetings since its affiliation in 1994. The IPU was established in 1889 and is an international organisation of parliaments of sovereign States. It comprises 166 member States and 10 Associate Members. The IPU meets twice a year and fosters contact and exchange of experience among Parliaments; considers questions of international interest and concerns; promotes the protection of human rights; and contributes to better knowledge of the working of representative institutions. According to the African Union Common Position on the Post-2015 Development Agenda as adopted on 31 January 2014 “The global commitments on financing development have not been fully met, which has been one of the reasons, among others, that several of the MDGs are not likely to be achieved by 2015 in many African countries. As a country we believe that developed countries must honour their historic obligations and responsibilities, as part of the commitment made in the context of the global partnership for development. The 132nd IPU Assembly will provide us with an opportunity, as a country, to remind the world at large, particularly the developed countries about these unfulfilled financial obligations as we move beyond 2015. In particular, as Parliaments, we must reflect on our role – in our countries – in our oversight function to pursue what is due to African citizens. As people’s elected representatives we must do our work such that changing the conditions of the lives of the poorest of our people is uppermost even at international fora deliberations. The principle of common but differentiated responsibilities must be respected, taking into account the historical responsibilities of industrialized countries. Lack of accountability has enabled developed countries to shirk their long-standing commitment to contribute 0.7% of annual gross domestic income to official development assistance (ODA); this “global development partnership” commitment, which dates back to 1970, is still widely unfulfilled and must be met unconditionally”. We also have to be reminded that the level of investment that will be required to fulfil the agenda beyond 2015 will far exceed the aforementioned agreed commitment of 0.7% of annual gross domestic income to ODA. In addition, the other topics on the agenda of the up-coming 132nd IPU Assembly are “Cyber warfare- a serious threat to peace and global security” the topic of the Standing Committee on Peace and International Security; the topic of the Standing Committee on Sustainable Development, Finance and Trade is ” Shaping a new system of water governance: promoting parliamentary action on water”; the Standing Committee on Democracy and Human Rights will be focused on International law as it relates to national sovereignty, non-intervention in the international affairs of States and human rights. Our participation in the 132nd IPU Assembly is guided by the draft strategic priorities of the Fifth Parliament: Deepening engagement in international fora. In this context we must pursue the goals of both our National Development Plan and the AU’s Agenda 2063 Framework Document. The AU reaffirmed the importance of aligning Agenda 2063 with the Common African Position on the Post-2015 Development Agenda and the Strategic Plans of the Continent’s Regional Economic Communities (RECs). When Africa’s Vision 2063 was adopted in January 2014, member states were urged to integrate it into their Development Initiatives and Plans. South Africa has already done this. We adopted The Freedom Charter at Kliptown in 1955 that called for democratic governance, non-discrimination, equal rights, sharing of the country’s land and wealth, equal human rights, decent housing and social security, among others. In 1996 we adopted a Constitution inclusive of a Bill of Rights that is regarded as one of the most progressive in the world. In 2012 we adopted the National Development Plan (NDP) 2030 which serves as a blueprint for the work that is still required in order to achieve our desired socioeconomic development and growth results by 2030. At regional level, we contributed to the development and adoption of the Southern African Development Community (SADC) Vision 2050 that, through the Regional Indicative Strategic Development Plan (RISDP), aims to “build a region in which there will be a high degree of harmonisation and rationalisation, to enable the pooling of resources to achieve collective self-reliance in order to improve the living standards of the people of the region”. The creation of a Regional Parliament is still outstanding as one of the key vehicles for regional economic integration. The 132nd IPU Assembly provides South Africa with an opportunity to reiterate our national, regional and continental commitments to Africa’s development aspirations at global level. As an Assembly of parliamentarians, the 132nd IPU session affords the democratically elected representatives of SADC and Africa to not only relay the bread and butter issues of Africans through consensus on our common challenges, priorities and aspirations. It also is an opportunity to participate in the development of strategies that remain relevant to the people we represent. Our commitment to a better life for all remains pertinent through all levels of engagement. We continue to contribute to the creation of a better World as parliaments at the Inter-Parliamentary Union.